My dad is all over England I tell you! We’re so happy for him, enjoying his retirement (If we could only have our mom do the same!!). 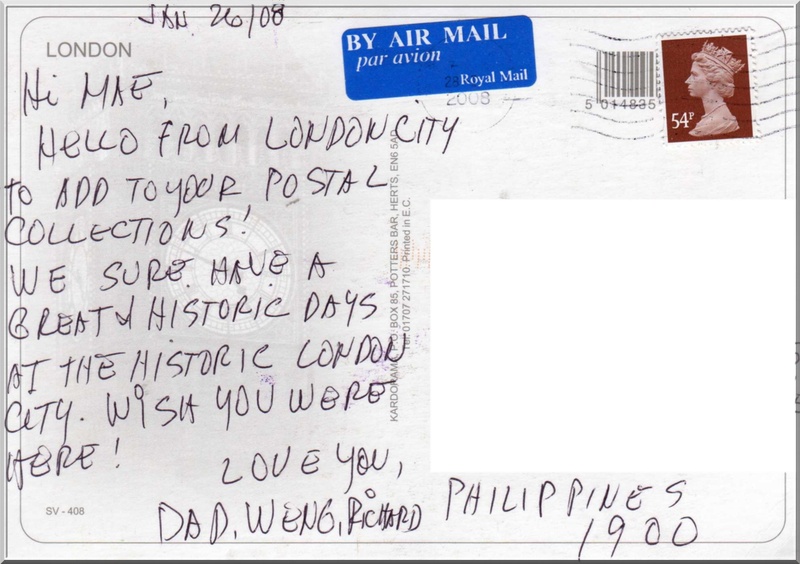 He sent this postcard to me addressed at my older sister’s house while I was vacationing in the Philippines. He was on his last few months in the UK visiting my younger sis! 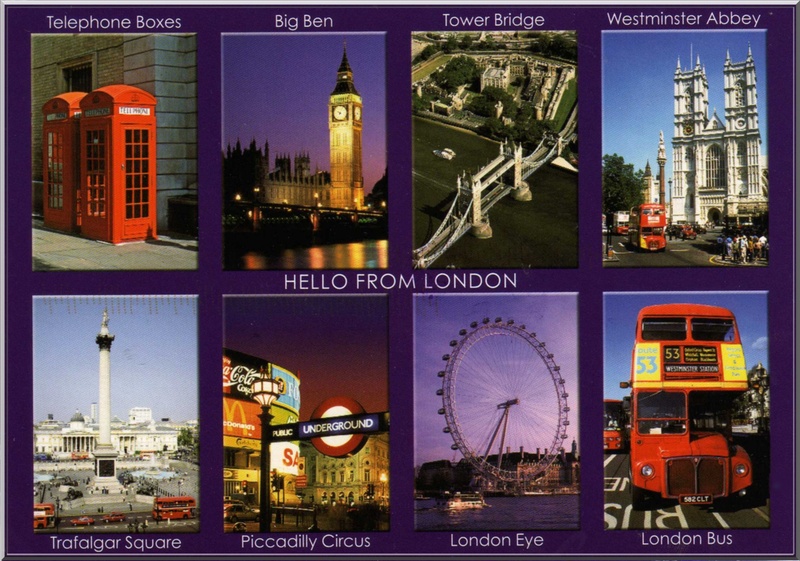 They did a lot of walking and sightseeing and spent a good weekend in London. The highlight was going to the West End to watch the musical hit “Chicago” with my sis and her boyfriend-now hubby! My family made a small pact that we’re all going to London in 2012 for the Summer Olympics! Except for my sis who lives there and my dad- the rest of us have never been to United Kingdom. I have 3 other sisters- no boys except for my dad. With my mom, that makes us 5 girls and 1 guy. We’re all very closely tied but somehow in our search for a better life for everyone, we found ourselves separated. My sister next to me, the one living in the UK has been there for so long! She was the first to go. I haven’t seen her in eight years!! My best friend back home taking care of our business together, is our only link to the Philippines! I want to see her in London too! But I also hope to be back in the Philippines before 2012 anyway! It’s going to be one BIG reunion if it happens- not to mention very expensive!! Heck, my eldest sis alone has her hubby, my dad and 3 kids to tag along! We’re all going to pitch in and make it happen, no matter what. I am a graphic designer and I really like this postcard and would like to use it for a television job as part of my design. If possible please could I use this image (http://thepostcardcollector.us/wp-content/uploads/2008/07/london_england.jpg)for my school project. This image will not be used anywhere apart from my school project. If I could use this image I would be extremely grateful. Hi Ellie and Jonny. Yes you may use the image you like. Kindly provide credit to this site when possible. Thank you for stopping by and asking permission. Really appreciate it.